The sixth submarine of the Soryu-class is called Kokuryu, which in Japanese means Black Dragon. This submarine has the building number 8121 and belongs to the project S131 for the construction of the Soryu-class fleet of Japanese submarines. 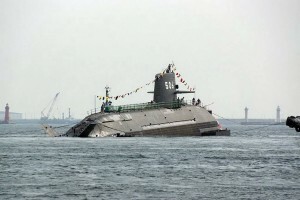 The SS-506 Kokuryu was laid out on 21st January 2011, and was launched on 31st October 2013. Later, she was finally commissioned on 9th March 2015, and currently operates together with other vessels of the JMSDF from the Yokosuka port. 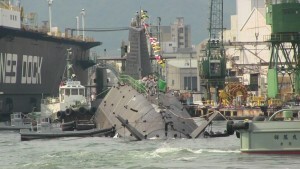 The SS-506 Kokuryu sailing while leaving Yokosuka port.